Playlists allow consecutive playback of two or more recordings. 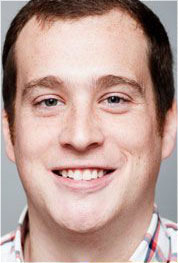 Playlists are perfect for streamlining video playback of multiple recordings for meetings, lectures, and presentations. 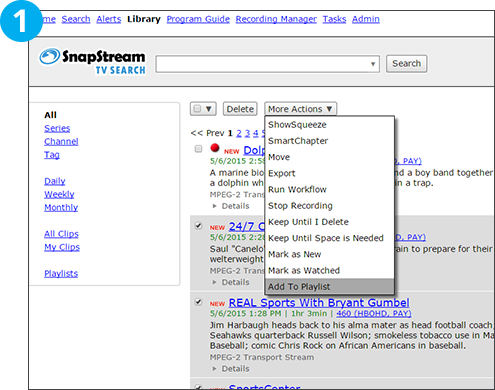 To add recording to a playlist, use the checkboxes to select them from the library. Select “Add to Playlists” from the “More Actions” picklist to add the selected recordings. Choose an existing playlist or create a new playlist where you would like to add the recordings. 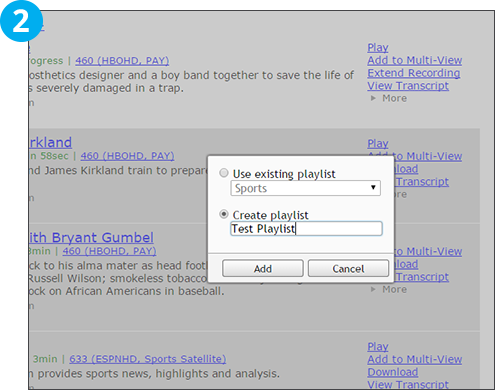 To begin playback of a playlist, choose “Playlists” from the Library. Click on the playlist you would like to watch from the list to begin playback. Playback will begin in the web player. 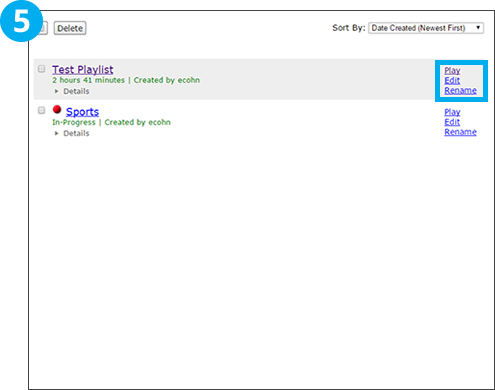 To select between multiple playlist items, click the highlighted “Next Item in Playlist” or “Previous Item in Playlist” buttons. 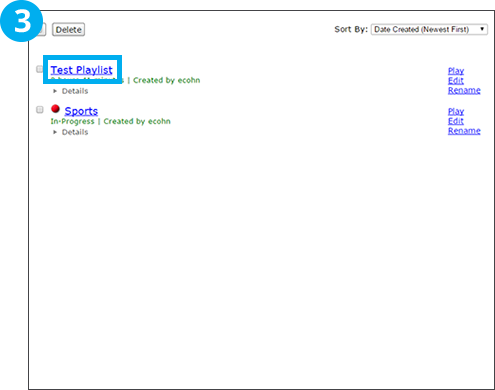 To edit the items in a playlist, click the “Edit” link next to the playlist you would like to edit. To change the order of the items in the list, click and drag the items on the page, then click “Save Order”. To remove an item from the playlist, select it and click “Delete”. 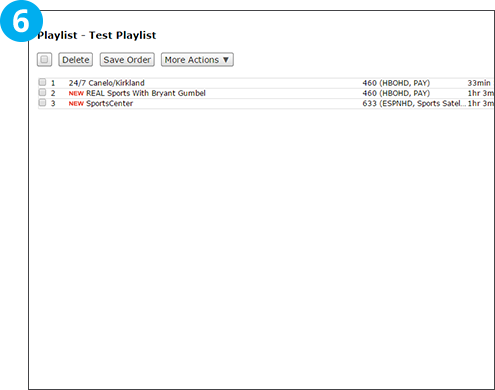 You can select delete multiple items from the playlist by selecting multiple checkboxes.